You don’t have to travel to Uganda to care for an orphan. 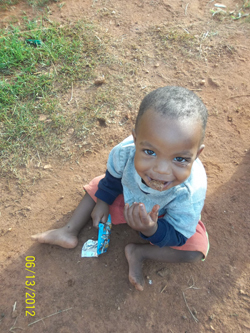 For only $30 per month, you can sponsor a child and support the Ssejinja children’s foundation in Uganda. Your sponsorship of an orphaned or abandoned child will help cover the costs of caring for the child. 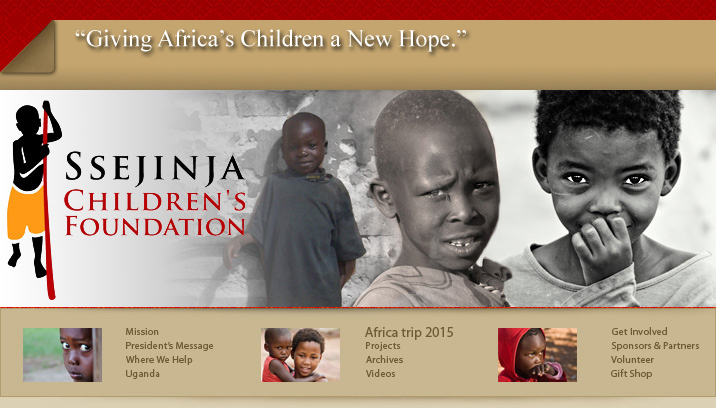 You will receive a photo and brief biography, plus semi-annual updates on the progress of your sponsored child. You will also be able to send letters, photos and birthday cards to Ssejinja Children’s Foundation for delivery to your child. Unlike some sponsorship programs, where the children live at home (usually with their parents) and the sponsor provides a modest supplement, Ssejinja children foundation provides for the entire care of the children. This includes accommodations, food, clothing, medical care, playtime equipment, and education. In order to cover the operating costs for these complete services, multiple sponsors are necessary for each child. If you wish to sponsor one or more children, please complete and submit the Child Sponsorship form at the bottom of this page. We will choose (based on your preference of a boy or a girl) a child that is most in need of sponsorship and send his/her biography and photo to you. You can pay by check monthly, quarterly, semi-annually or annually or you can donate online through a secure payment. You may send letters and photos to your sponsored child Please indicate the full name of the child, and include your full mailing address so that the child can reply.